This lab enables opportunities that facilitate learning both combinational and simple sequential designs. 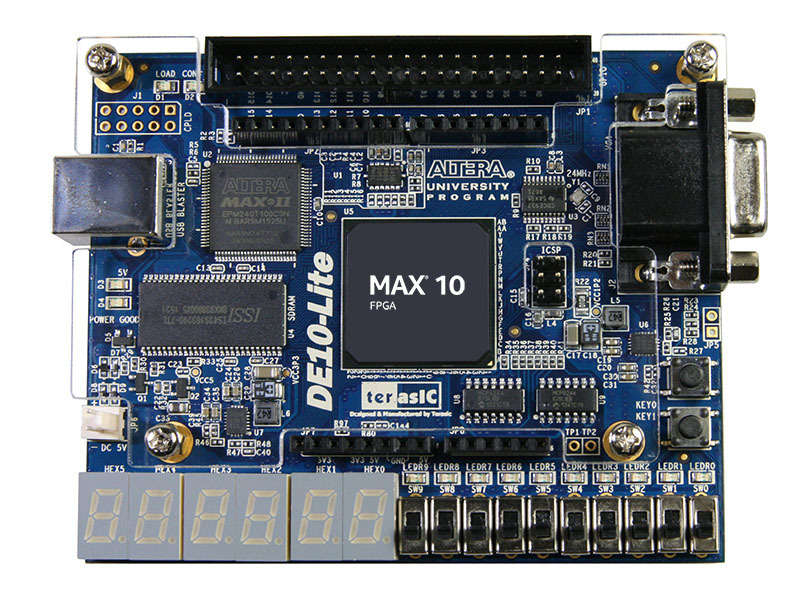 These designs are implemented using a IntelFPGA through schematic capture and Verilog. Some examples of projects are adders, 4 digit seven segment display controllers, and even VGA output. This section covers the basics of using the Quartus Prime software to program an FPGA, and use of the onboard switches, buttons, and LEDs. Learn about number systems and adders. Design a 7 segment display decoder. Design sequencial logic to slow the onboard clock. Use System Verilog to desgin an accurate clock. Design a system that uses the onboard VGA port to output basic graphics.